Mbp1 is a transcription factor central to transcriptional regulation of the eukariotic cell cycle. We identify its targets by searching for the binding sequence in the 5' UTRs (up to 1000 base pairs) across the gene's orthologs in 17 yeast species. 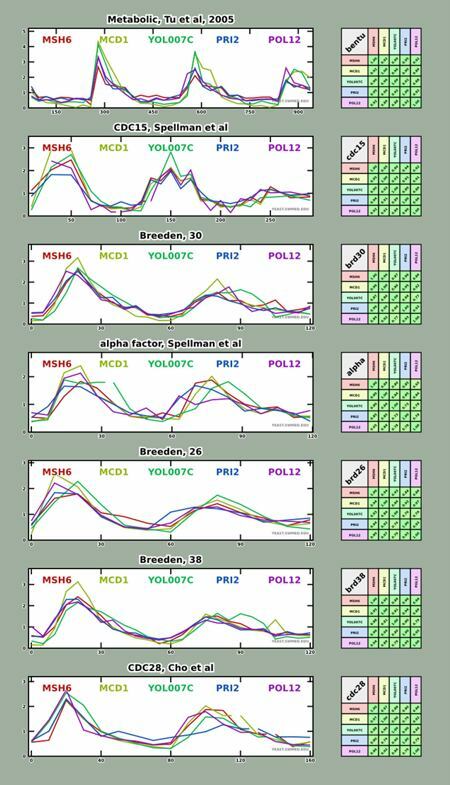 The number of occurrences turns out to be a robust score defining Mbp1 binding. 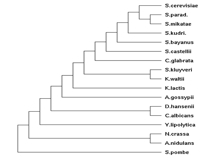 The Mbp1 binding site (ACGCGT) is conserved in the seventeen sequenced yeast genomes. 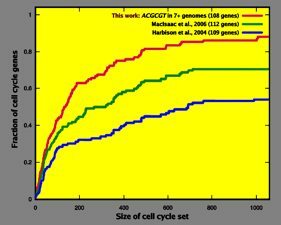 To validate our method and compare against experimental approaches, we compute how many predicted targets belong to our highest-scoring cell-cycle genes. Over 80% of genes with the consensus sequence present in 7 or more orthologs are contained by the high confidence set of 600 cell cycle genes. This is significantly more than in experimental results. 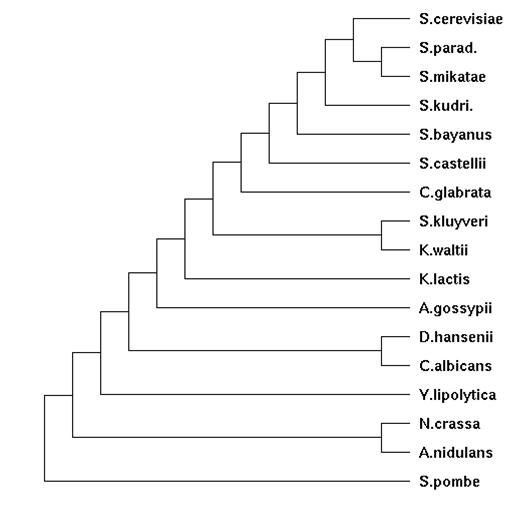 Harbison et al. (2004) and MacIsaac at al. 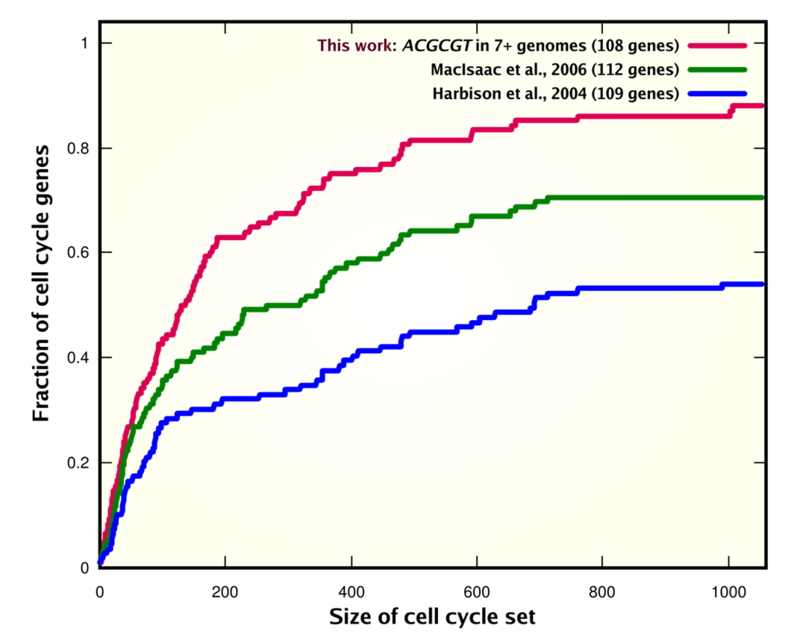 (2006) identified targets Mbp1 by chromatin immunoprecipitation (CHIP-on-chip), combined with sequence analysis of four Saccharomyces spieces.